As 2018 begins, STAND is reflecting on the challenges of the last year, which included Zimbabwe’s rapid overthrow of former President Robert Mugabe, global attention towards an economic crisis and food shortage in Venezuela, and rising tensions between North Korea and the United States. Many known cases of mass atrocities persisted, such as ethnic cleansing of the Rohingya in Burma, ongoing atrocities against civilians in Syria, and a horrific humanitarian crisis in Yemen, caused in large part by Saudi Arabia’s blockade on major ports in the country. We at STAND want to provide a thorough analysis of conflicts to watch in 2018. Although it was difficult to choose only ten conflicts, and watchers may notice areas such as Mali, Venezuela, and Iraq missing from this list, we hope that our “Ten Conflicts to Watch” give you, our fellow activists, a starting point from which to advocate for civilians around the world who will no doubt continue to endure violence and instability this year. After insurgents from the Arakan Rohingya Salvation Army (ARSA) attacked Burmese security forces on August 25, 2017, the Burmese military launched a scorched-earth assault against Rohingya Muslim civilians in Rakhine state. During a brutal military campaign that the United Nations has classified as a “textbook example of ethnic cleansing,” a position that has been echoed by U.S. Secretary of State Rex Tillerson, the military has burned hundreds of villages and systematically killed and raped thousands of Rohingya civilians. Many of the 650,000 Rohingya refugees who fled into Bangladesh to escape the violence are in danger of starvation and disease. Many more remain trapped in what are essentially concentration camps within Burma. Even in the midst of this catastrophe, however, the government of Burma recently banned Yanghee Lee, a special investigator from the United Nations, from investigating human rights violations in Burma, and Aung San Suu Kyi, the de facto civilian leader of Burma, has largely remained silent on the plight of the Rohingya. As the Rohingya continue to suffer in host countries such as Bangladesh and Malaysia, and feel it is unsafe to return to Burma, continued international pressure, including a reimposition of sanctions by the United States and global partners, is vital to address these atrocities. In the second half of last year, the humanitarian situation in the Central African Republic deteriorated significantly as the central government remained unable to exercise meaningful authority outside of the capital of Bangui. Already one of the poorest countries in the world, most of the country is controlled by armed groups fighting over valuable resources, such as cattle and diamonds. Since the cycle of violence began again in 2013, more than one million civilians have been forcibly displaced, and today more than half of the population relies on humanitarian aid to survive. Unfortunately, thousands have been unable to obtain such aid because it is too dangerous for non-governmental organizations to operate in many areas of the country. Without increased assistance to the Central African Republic, focusing on both emergency assistance and support for building sustainable political, economic, and legal institutions, instability and atrocities against civilians will undoubtedly continue. A ceasefire signed by President Salva Kiir’s government and several opposition groups on December 21 was broken within hours. The ceasefire intended to revive a previously signed peace deal that collapsed earlier last year after fighting between government and rebel forces erupted in the capital of Juba. Neighboring countries involved in the negotiations, as well as the United States, have threatened to punish those who violate the ceasefire, but it is unclear whether such pressure will be sufficient to deter the parties, particularly because it is unclear how exactly South Sudan would be punished. Meanwhile, the people of South Sudan face a vast humanitarian crisis; nearly four million have been forcibly displaced, and seven million will not survive without humanitarian assistance. Maintaining the ceasefire and working towards a sustainable political solution will be crucial in order to ameliorate this crisis and end the ethnic violence that has persisted throughout the past year. Though the United States lifted economic sanctions on Sudan in October, the human rights record of President Omar al-Bashir’s government remains abysmal. Last June, the United Nations began to reduce the size of its peacekeeping force in Sudan, yet violence against civilians by government forces and armed militias remains prevalent. Approximately one-third of the population of Darfur remains displaced, and many remain concerned for their safety and livelihoods, particularly in the midst of a disarmament process that could reignite violence in the region. Additionally, millions of people are in desperate need of humanitarian assistance in Darfur, the Nuba Mountains, and Blue Nile. Both short-term and long-term efforts are necessary to end atrocities that continue to be committed in Sudan. The civil war in Yemen, which has now lasted more than one thousand days, only worsened near the end of 2017. Saudi airstrikes continue to target civilians and violence rages between Houthi rebels, pro-government forces, local militias, and Islamic State fighters. More than seven million civilians are at risk of starvation, partially due to a blockade of Yemeni ports by Saudi Arabia. Although the key port of Hodeidah was reopened on December 20, Saudi Arabia promised to leave it open for just thirty days; after that, there is no guarantee that aid will continue to arrive. Additionally, nearly one million people have been infected with cholera. This epidemic has been exacerbated by the destruction of hospitals and water supply facilities, and the blockade of ports that made it impossible for remaining hospitals to access electricity. Observers have indicated that there is neither a military nor a humanitarian solution to this crisis; thus far, however, peace talks have failed to make significant progress. In December, President Pierre Nkurunziza threatened citizens of Burundi to support a referendum that would permit him to remain in power until 2034. He declared that any attempt to sabotage the referendum would be a “red line.” Extrajudicial killings and torture continue to be used against political opponents, and the regime has also cracked down on the media. Although Nkurunziza has insisted that it is safe for refugees to return to Burundi, a recent report by Amnesty International found that many risk death, sexual violence, or torture upon their return. In order to guarantee lasting peace in Burundi, the political impasse must end. All efforts to alter the constitution in Burundi have only led to increased violence. The humanitarian situation worsened significantly last year in the Democratic Republic of Congo, as President Joseph Kabila continually delayed elections, “implement[ing] a deliberate ‘strategy of chaos’ through orchestrated violence,” which has displaced and killed thousands of civilians. The United Nations recently classified it as a Level 3 emergency, placing the country on par with Syria, Yemen, and Iraq. Violence rages in various provinces, particularly Kasai, Tanganyika, and South Kivu. Armed groups have burned villages, killed and raped civilians, and forcibly recruited child soldiers. Even as 13 million people require humanitarian assistance, the world has provided minimal financial support. In December, 15 peacekeepers from the United Nations Organization Stabilization Mission in the Democratic Republic of the Congo (MONUSCO) were killed, and the suspected killer of two United Nations experts was arrested. Protests against Kabila’s extension of power continue, killing 6 last week. Without greater international commitment, the political instability in the country will likely continue to fuel mass atrocities. Outbreaks of ethnic violence between the Oromo, who are predominantly farmers, and Ethiopian-Somalis, who are predominantly pastoralists, have displaced hundreds of thousands of civilians in Ethiopia. Tensions have been exacerbated because of the ongoing drought, which has contributed to economic insecurity and increased the risk of malnutrition throughout the country. Near the end of the year, anti-government protests regarding the marginalization and oppression of opposition groups emerged. Ethiopian military forces have responded by killing dozens of protesters. These tensions are likely to worsen in 2018 if the causes of these protests remain unaddressed. Although the Nigerian military has regained control of most of the territory once controlled by Boko Haram, the crisis in northeastern Nigeria has not ended. Millions of people are desperately in need of humanitarian aid, and as the military pulls back from the countryside to fortify their control over cities and towns, many citizens living in rural areas are left vulnerable to attacks by Boko Haram. The Nigerian military has also been accused of various human rights abuses, including sexual abuse and arbitrary detention. In addition to the struggle against Boko Haram, there has also been renewed violence in the Niger Delta committed by militants expressing their displeasure with the lack of development assistance provided to the region by the Nigerian government. In the past year, due to extensive support by allies Russia and Iran, ineffectiveness of Syrian rebel groups, and a lack of U.S. diplomatic engagement, President Bashar al-Assad has consolidated control over much of Syria, making implementation of the Geneva process, which would require the installation of a transitional government, far less likely. Instead, the Syrian government is meeting in Russia as part of the Sochi talks, which has alarmed opposition groups. The opposition fears these talks will only allow Assad to solidify his control of Syria. Government forces recently killed dozens of civilians in Eastern Ghouta during a military offensive against the Idlib province, the largest remaining rebel stronghold, demonstrating a willingness to continue bombing civilian infrastructure and a reliance on siege tactics to seize and hold territory. They also have continued to block humanitarian assistance to territory held by rebel groups. If the United States continues its current policy trajectory—wherein it focuses solely on terrorism while ignoring the civil war—Assad will be able to solidify his control in Syria, which will likely result in increased atrocities. 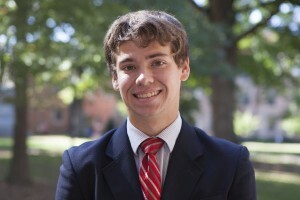 Justin Cole is the Policy Coordinator for STAND: The Student-Led Movement to End Mass Atrocities, and a senior at the University of North Carolina at Chapel Hill, where he is earning his degree in economics and peace, war, and defense. On September 24, the Trump administration released a third version of the travel ban originally issued in January just weeks before the Supreme Court was set to hear oral arguments on the second iteration of this executive order. Although White House officials claim the new policy more narrowly targets national security, immigrant and diaspora communities from affected countries as well as various human rights organizations have criticized the ban for containing the same problems as its predecessors. Because the confusion, chaos, and condemnation that have consistently accompanied the travel ban have rendered it difficult to track its evolution, this article concisely addresses the firm opposition of STAND: The Student-Led Movement to End Mass Atrocities to the ban. What is different about the most recent travel ban? Why is the travel ban an ineffective way to improve security for Americans? The argument employed by the Trump administration to justify its travel ban is one of national security. Yet many counterterrorism experts argue that the ban actually is counterproductive to this objective. It weakens the ability of the United States to display global leadership and bolsters arguments made by terrorist groups that the United States is at war with Islam. Scott Cooper, the founder of Veterans for American Ideals at Human Rights First, notes that blocking refugees in particular will increase instability among allies in the Middle East and dissuade foreign nationals of the countries affected by the travel ban from assisting military operations conducted by the United States, thereby threatening the lives of American soldiers. Refugees are already heavily vetted by numerous intelligence agencies and national security officials are in widespread agreement that the procedure is sufficiently stringent. What are the harms of the travel ban? Given the violence and mass atrocities occurring around the world, it is quite concerning that the travel ban—as well as the extremely low refugee quota recently set by the Trump administration—will make it more difficult for refugees to flee from oppression and violence. If the United States wishes to claim that it upholds humanitarian ideals, it should not make it more difficult for the most vulnerable people in the world to seek safety and freedom. What is the future of the travel ban? The American Civil Liberties Union (ACLU) recently announced that it would seek an injunction on this travel ban and challenge it in federal court. Anthony Romero, the executive director of the ACLU, released a statement contending that “the newest travel ban is still a Muslim ban at its core, and certainly engages in discrimination based on national origin.” Avideh Moussavian, a senior policy attorney at the National Immigration Law Center, claimed the latest travel ban was simply a new coat of paint and that it would not “repair a house with dangerous structural problems.” As such, the legal battles surrounding the travel ban are almost certainly set to continue. Yet it is important not to simply sit by and wait on the courts. Call your representatives and urge them to publicly oppose the ban, support legal organizations who strive to protect rights such as religious liberty, and donate money to groups who seek to help refugees. Only by standing together can we ensure that this travel ban is quickly abolished. Featured photo by REUTERS/Shannon Stapleton. 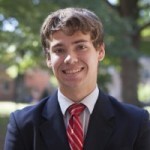 Justin Cole is the Policy Coordinator for STAND: The Student-Led Movement to End Mass Atrocities, and a senior at the University of North Carolina at Chapel Hill where he is currently earning his degree in economics and peace, war, and defense. Aung San Suu Kyi, Burma’s de facto head of state whose nonviolent struggles for democracy and human rights in Burma won her the Nobel Peace Prize in 1991, continues to be complicit in these mass atrocities. After remaining silent for weeks, she delivered a speech yesterday refusing to criticize the gross human rights abuses being committed by the military. She even questioned why the Rohingya were fleeing to Bangladesh. According to Azeem Ibrahim, author of The Rohingya: Inside Myanmar’s Hidden Genocide, “she either does not know or is simply trying to deceive.” The former human rights hero has sacrificed human rights principles for politics. Aung San Suu Kyi is not the first to inspire hope only to later become a perpetrator of atrocities. The Sudan People’s Liberation Movement, long championed for its role in achieving independence for South Sudan, has committed mass killings during the current conflict. Syrian rebels who still receive foreign assistance from the United States in their struggle for freedom against the regime of Bashar al-Assad have tortured and executed civilians while maintaining close ties with terrorists. Human rights advocates have consistently overlooked the warning signs associated with these individuals. Burma is a prime example of this phenomenon; for years, Aung San Suu Kyi has consistently ignored the “slow genocide” being committed against the Rohingya. It is easy to rally behind an individual, particularly when he or she represents such a drastic improvement relative to the status quo. Indeed, human rights advocates, who work tirelessly for each small gain, may be even more willing to highlight the courage and ideals of people like Aung San Suu Kyi, depicting them as heroes with the conviction necessary to singlehandedly overcome the flaws of political and cultural structures. Yet what these examples demonstrate is the error in doing so. If there is any lesson to be learned from Aung San Suu Kyi and her unwillingness to speak out on behalf of the Rohingya, it is that even a Nobel Peace Prize winner is deeply imperfect. Indeed, the root of the problem in Burma does not lie with its de facto leader, but with its exclusionary, authoritarian political system, forged by decades of military rule and Buddhist extremism. While it can be tempting to gravitate towards individual leaders, we must acknowledge that all individuals are products of their environments. While Aung San Suu Kyi could and should be a vocal ally for the Rohingya, she may not be the most fruitful or effective target. For this reason, it is necessary for us to reach for solutions beyond individuals – to push for international aid, donate directly to relief efforts, campaign for citizenship and full rights for the Rohingya, and pressure our governments to take both national and UN-level action for the protection of persecuted individuals. On August 25, militants from the Arakan Rohingya Salvation Army (ARSA), previously known as Harakah al-Yaqin, or “Faith Movement,” initiated a major counteroffensive in Rakhine state against 24 police posts and one army base. At least 21 insurgents and 11 members of the security forces were killed. This attack has prompted a vicious crackdown by the Burmese military against Rohingya civilians just days after a panel led by former United Nations Secretary-General Kofi Annan released a report to the government that recommended solutions to establish peace in the troubled country. The Rohingya, an ethnic Muslim minority who have been described by the United Nations as “the most friendless people in the world,” have been denied basic human rights in Burma for decades. Although they have lived in the region for centuries, they lost their citizenship with the passage of the Burma Citizenship Law in 1982 and many in Burma characterize them as illegal immigrants from Bangladesh. Denied basic human rights such as healthcare and education, they have been forced into what have been described as “modern day concentration camps” by the Burmese military and Buddhist extremists and have often suffered from communal violence. These grievances have motivated many young Rohingya men to join the insurgency. Both Pope Francis and Malala Yousafzai, who won the Nobel Peace Prize two years after being shot by the Taliban for promoting education for women in Pakistan, have also condemned the violence. Yousafzai has been particularly critical of fellow Nobel Laureate Aung San Suu Kyi, the de facto leader of Burma, for her silence on the human rights abuses being committed by the Burmese military. Some have even demanded that the Nobel Committee revoke her prize. Defenders of Suu Kyi point out that she was once imprisoned by the military junta that formerly ruled Burma, suggesting that she does not possess an unlimited ability to control the military. Most, however, believe that she is one of the few leaders in Burma with the mass appeal necessary to decrease the violence. In the week and a half since this onslaught began, at least 120,000 citizens have fled Rakhine State for Bangladesh. Another 400,000 are estimated to be trapped in western Burma. Many refugees have died in their attempt to escape Burma and those who do arrive safely are hungry, weak, and sick. Refugee camps are quickly becoming overcrowded and Burma is continuing to block aid agencies from delivering food, water, and medicine to the beleaguered Rohingya. As long as violence continues, the regional consequences of the conflict in Burma will only grow more severe. On August 28, Secretary of State Rex Tillerson informed Congress that a majority of special envoy positions will be abolished or reorganized as part of efforts to restructure the State Department. Although Tillerson has framed the restructuring as a way to increase efficiency—allegedly by eliminating positions that have successfully resolved their respective policy challenges and integrating other positions into related bureaus—STAND strongly believes this plan will negatively impact the ability of the United States to respond to ongoing international conflicts and crises. Historically, most presidential administrations have viewed special envoys as vital to the foreign policy of the United States. Because special envoys are able to focus exclusively on a single issue, they can often achieve more progress than policymakers in the State Department, This is particularly the case if the issue has important regional and international components that can be more difficult for ambassadors and even regional secretaries to solve . Additionally, they often report directly to the president, surpassing bureaucratic constraints. Indeed, one of the most important advantages possessed by special envoys is their ability to meet with foreign leaders outside of formal diplomatic communication. This allows them to speak with unfavorable individuals, such as war criminals and terrorists, if they believe that doing so will advance their resolution initiatives. In short, special envoys play an important role in foreign policy, largely due to their flexibility. Although STAND is concerned about many aspects of State Department restructuring, we are particularly alarmed by the reorganization of three special envoy positions that relate to four of our conflict zones: the Special Envoy to Sudan and South Sudan, the Special Envoy for the Great Lakes of Africa, and the Special Representative and Policy Coordinator for Burma. First, the Special Envoy to Sudan and South Sudan is being subsumed under the Bureau of African Affairs. Although it is theoretically possible for the Bureau of African Affairs to continue this special envoy’s mission of ending violence and human rights abuses in Sudan and South Sudan, it seems more likely that this change reflects the Trump administration’s apathy towards the ongoing conflicts in these countries. In fact, some administration officials wish to lift sanctions on Sudan despite a lack of any real progress towards respecting human rights by the genocidal government of President Omar al-Bashir. The Special Envoy to Sudan and South Sudan would continue to be instrumental in applying pressure on the government of Sudan if sanctions are indeed lifted. The deteriorating situation in South Sudan, which has seen government and opposition forces commit atrocities against civilians while enriching themselves through profiteering, would also benefit from the attention of this special envoy. Second, the Special Envoy for the Great Lakes Region of Africa is also to be subsumed under the Bureau of African Affairs. During the Second Congo War (1998-2003), also known as Africa’s first world war, at least half a dozen countries—including Rwanda, Uganda, Zimbabwe, Namibia, and Angola—fought a proxy war in the Democratic Republic of the Congo (DRC). Nearly fifteen years after the official end of that conflict, however, atrocities continue to be committed by government troops and rebel groups, many of whom are allegedly supported by regional powers. The vast wealth of natural resources, such as tin, tungsten, and tantalum (the “Three Ts”)—minerals used in cellphones and other electronic gadgets—is a major driver of the continued violence. Indeed, there is concern that the conflict in the DRC as well as the ongoing crisis in Burundi have the possibility of spilling over into the rest of the region. Given these regional dynamics, STAND believes a special envoy is necessary in order to address the myriad complexities of these ongoing conflicts. Finally, the Special Representative and Policy Coordinator for Burma is being stripped of its title and moved to the Bureau of East Asian and Pacific Affairs. In addition to this change, Tillerson is asking “Congress [to] repeal the statutory requirement for this special representative position, since the mission of this position has been accomplished with the 2016 formation of a democratically elected, civilian-led government and the rebuilding of relations with Burma.” Yet this sentiment recklessly ignores the plight of the Rohingya, an ethnic Muslim minority who have been described by the United Nations as “the most friendless people in the world.” Having been denied basic human rights for decades and confined in what many refer to as “modern-day concentration camps” by the Burmese military and Buddhist extremists, the past week’s rapid escalation of violence in Burma has only worsened the plight of the Rohingya. The Burmese military has burned thousands of homes and slaughtered at least one thousand civilians since a Rohingya militant group launched a counteroffensive against police posts and an army base on August 25. As such, a special representative or envoy is crucial in order to carefully monitor the situation and steadfastly protect the Rohingya from this unfolding tragedy. Although Secretary Tillerson has argued that these changes in the State Department will increase efficiency by reducing redundancies and trimming the bureaucracy, in effect the restructuring of these special envoys will make it more difficult for the United States to effectively promote peace and human rights internationally. Worse, STAND fears that such restructuring actually represents a shift in policy priorities that could ultimately risk the lives of countless thousands of people around the world.